3 Bedroom Ranch, well kept by the original owners and set on 8.6 acres. 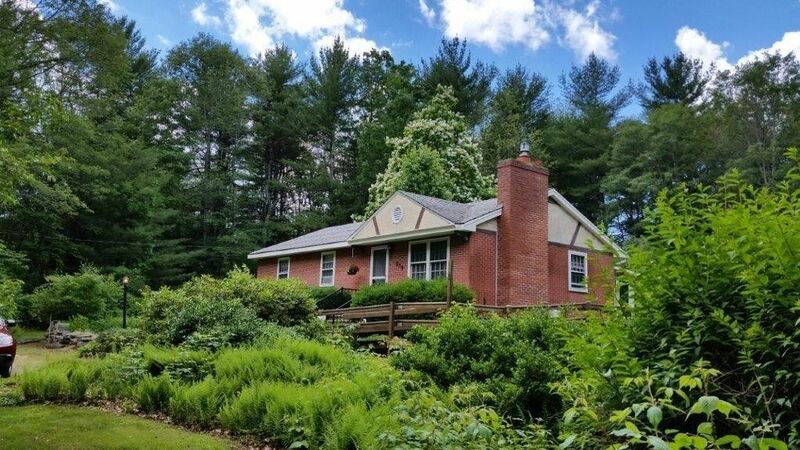 Nice location on lightly traveled pretty country road just minutes from Barre Common. Home features hardwood floors throughout the living areas, fireplace in living room with unique fossil embedded stones for accent and 1.5 baths with laundry in Master Bedroom half bath. Westerly facing spacious 12' x 17' sunroom off kitchen offers pretty views of gardens and large lawn area. Large wooded area was once more clear and could be reclaimed for additional yard or possible horse pasture. Ramp for wheelchair access to deck, sunroom and kitchen door.